WASHINGTON – The Occupational Safety and Health Administration (OSHA) has issued two new educational resources to help protect workers from mercury exposure while crushing and recycling fluorescent bulbs. 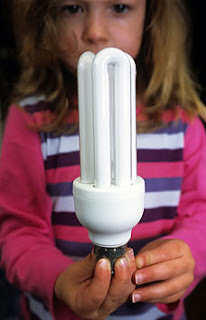 Compact fluorescent bulbs are more efficient than incandescent bulbs, but the shift to energy-saving fluorescents, which contain mercury, calls for more attention to workers who handle, dispose of, and recycle used fluorescent bulbs. The OSHA fact sheet* explains how workers may be exposed, what kinds of engineering controls and personal protective equipment they need, and how to use these controls and equipment properly. In addition, a new OSHA Quick Card* alerts employers and workers to the hazards of mercury and provides information on how to properly clean up accidentally broken fluorescent bulbs to minimize workers' exposures to mercury. Easy Safety School has also put these documents up for download on their free OSHA Publications page.